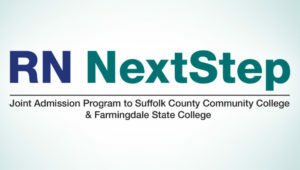 FSC and Suffolk County Community College have announced a joint admission program that will allow selected students accepted into Suffolk’s Associate in Science in Nursing program to be simultaneously accepted into FSC’s Online RN to BS Completion program. Students accepted to the RN NextStep program will complete their first two years of study at SCCC, then matriculate seamlessly into FSC’s Online RN to BS Completion Program and earn their BS in Nursing. 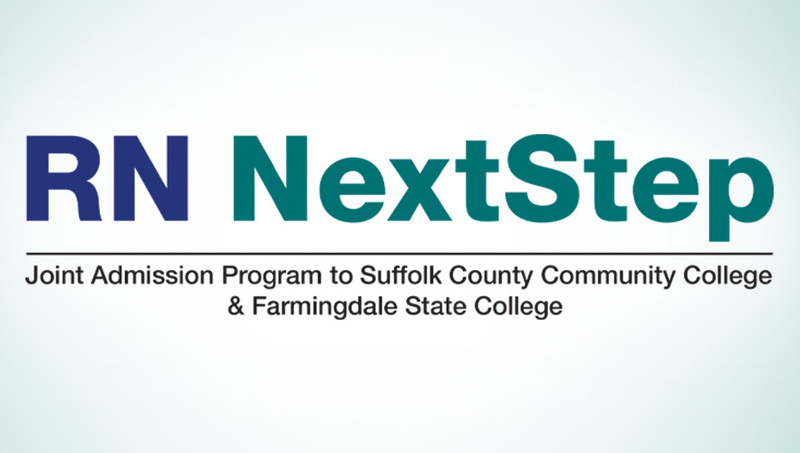 A Farmingdale nursing faculty advisor will provide SCCC faculty and RN NextStep students information sessions, workshops, and advisement during their two years at Suffolk. “FSC’s College of Health Sciences is delighted to partner with Suffolk County Community College in advancing their associate degree nursing graduates to the baccalaureate level by utilizing an online format,” said Dr. Denny Ryman, dean of the School of Health Sciences.